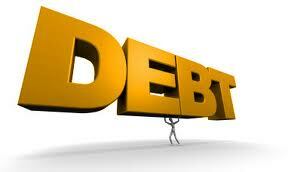 Telemachus: 'Fix The Debt!' and Save The Republic! 'They do not care a whole heckuva lot about what you think. We have been writing about the dangers of ever-escalating debt for the past 3.6 years now and counting. We hope you have learned some things along the way and enjoyed a few of them at least. Our last post was about the importance of passing the Bowles-Simpson Commission recommendations for various and sundry reasons. The least of which is the fact that it is the only proposal out there that has any chance of passing any time soon. The main reason is because we have got to show the world that our democratic republic can still function properly in the national best interest. Making these first baby steps will give confidence to the world markets and the American business community. These are really still just the 'first baby steps' needed to get back to a full balancing of the federal budget and subsequent retirement of close to $16 trillion of existing federal national debt. Here's something you can do today. And it is very, very easy. And it will not cost you a single dime. You can read the message below from the group that is helping to pass the Bowles-Simpson recommendations, The Campaign to Fix The Debt!'. Then, do everything they say: Join up and get 5, 50 or 5000 of your friends to do the same. Erskine Bowles has said that he would like to get 10 million names on this list. We would like to see 100 million follow suit. The reasons why this will 'work' and 'be helpful'? 1) Because the AARP is telling its 44 million senior citizen members to fight any entitlement changes tooth-and-nail and to cane any Congressperson in the head with their canes if they dare so much as even talk about making any changes to Social Security or Medicare. The problem with that line of thinking is that the federal budget would be in balance now IF Medicare, Medicaid and general health care costs had been growing at the rate of inflation for the past 25 years. Social Security needs to be re-balanced with the extended life expectancy rates that have increased substantially since the mid-1950's/early 1960's. 2) Because Grover Norquist is telling his Americans for Tax Reform members to cane any Member or Senator in the head if Congress eliminates ANY tax deduction or loophole, that is a gross violation of their pledge to not raise taxes, ever! The problem with that is that line of thinking is that it condones and embraces the concept that people who can afford expensive tax attorneys and accountants can continue to benefit from loopholes in the tax code when moderate-income people can't. And then send this article or link to 500 of your friends and tell them to do the same. 'Thank you for joining the Campaign to Fix the Debt! The time for action is now. We all know the fiscal path we're on is unsustainable and that Washington, D.C. is, by and large, too broken to fix this issue alone. Without a groundswell of support from the public, a majority of our elected officials do not seem prepared to make the hard decisions necessary to achieve a long-term, comprehensive solution to our nation's fiscal problems. Can we count on you today, to email 5 people and ask them to join you in the Campaign to Fix the Debt? Ask them to sign on to show their support at http://fixthedebt.org/. You can also help by sharing the site on Facebook and Twitter. Dream for our children and grandchildren. Let's build on this momentum and be the groundswell!